Almost every day, humans come into contact with wild and domesticated animals. Although many of these encounters are harmless, there are some that result in injury. 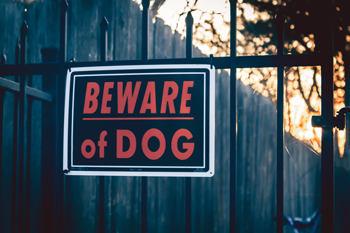 About 4.7 million Americans suffer from a dog bite each year, making it the most common animal-related injury. Bites from cats account for the second most common pet bite, estimated to be around 400,000 annually. In some cases animals attack without being provoked, but many times these injuries can be avoided. Educating yourself and your children on how to properly approach an animal may save you a trip to the emergency room and money spent on dog bite treatment. The most common pet bites involve an animal that you know. This may include a family pet or a friend’s animal. Out of the millions of Americans that suffer from a dog bite, half of them are children between the ages 5 and 9. Children are the most likely to be injured by an animal because of their outgoing personalities and lack of education. Sadly, these bites are often the most traumatic. A young child’s face, neck and chest are more exposed due to their height. Even after receiving dog bite treatment there may be permanent scaring. Respecting an animal’s space is the most effective prevention method. Teaching your children to follow these rules may come in handy. Although these tips are often effective, there are certain instances when they are not. Is the animal up to date on all vaccinations? Was the aggression provoked or unprovoked? Superficial injuries should be properly cleaned and monitored for infection. Wounds that penetrate the skin need to be handled differently. The first step is to apply pressure to the wound to slow the bleeding. This can be done using a clean cloth. Cleaning the wound immediately after will help remove harmful bacteria and prevent infection. Once the wound is cleaned, seek medical attention. Nearly 1 in 5 people that receive a dog bite end up needing some degree of medical attention. Dog bite treatment is especially important due to the possibility of infection. Animal injury lawyers will want you to have basic information ready. If possible, first gather information and proof that the bite has occurred. This information includes medical bills, photos of the injury, an accurate description of the events, witnesses and the owner’s personal information. Once you meet with a personal injury attorney or animal injury lawyer, he or she may be able to help you gather some of this information and build your claim. At KBG, we offer a free consultation to meet with one of our animal injury lawyers and decide if we’re a good fit for you and your claim. Request a free consultation today to get the Results You Deserve®.